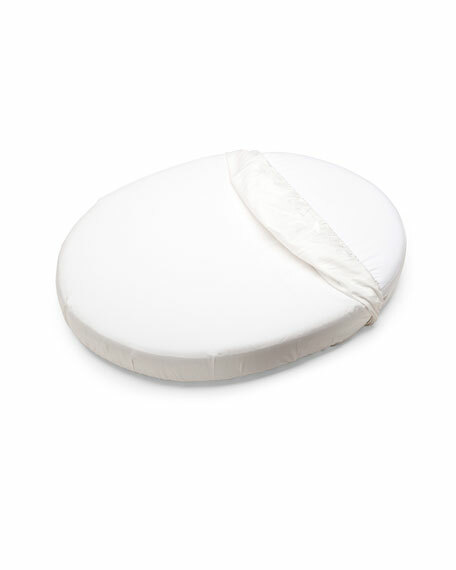 Stokke® Sleepi Mini fitted sheet is designed to fit a Sleepi Mini mattress (sold separately). The textiles are 100% Egyptian cotton, which is high quality, and no chemicals or dangerous printing liquids are used. The textiles for Stokke® Sleepi are approved by the International Oeko-Tex® association. The Oeko-Tex® Standard 100 test is based on internationally binding, scientifically proven parameters, and is revised annually in line with the latest legislation and research. 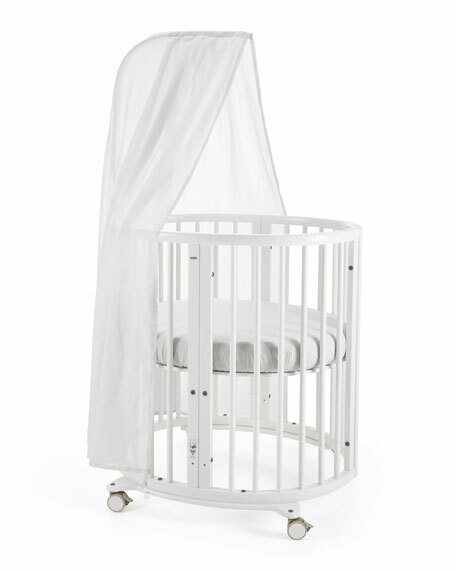 Stokke® Textiles are designed with your complete nursery in mind. 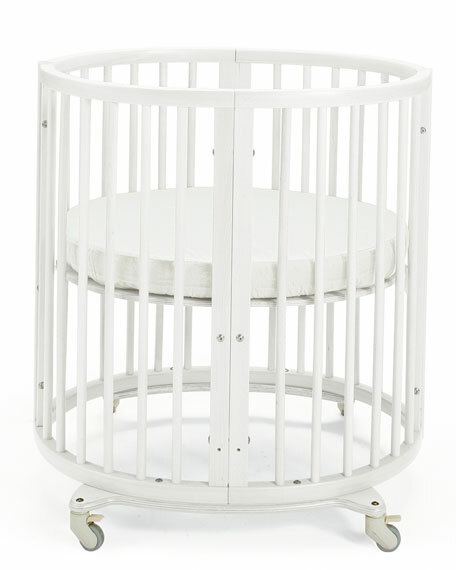 Use Stokke® Textiles varied range of patterns and styles to create your own look. Use one coloror mix and match your color scheme. All textiles are easily washable and designed with your baby in mind. 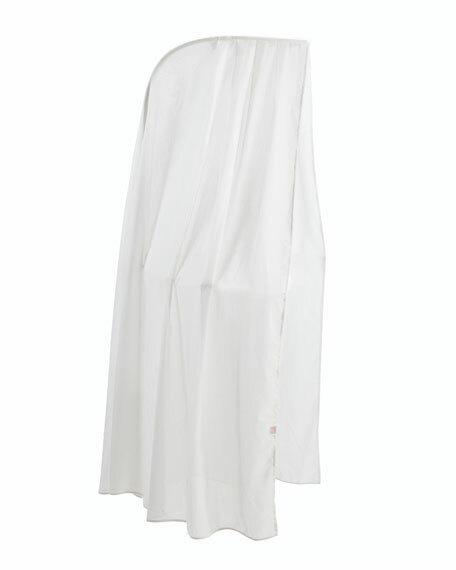 Materials: 100% fine cotton percale. Please note: Mattress is sold separately. 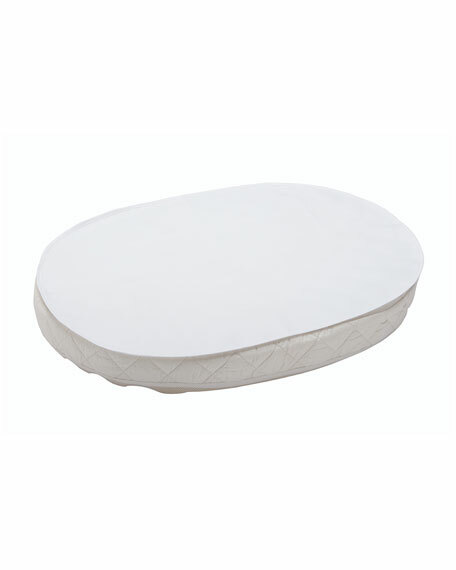 Stokke® Sleepi Crib Waterproof Sheet is designed to be laid-over a crib mattress. Protects both crib and mattress from moisture throughout the night and helps your child sleep more comfortably. No chemicals or dangerous printing liquids are used. The first magical six months have passed, and now it`s time for you to transform your Stokke® Sleepi Mini into the Stokke® Sleepi Bed with the practical Bed Extension Kit. Suitable for children up to 3 years. 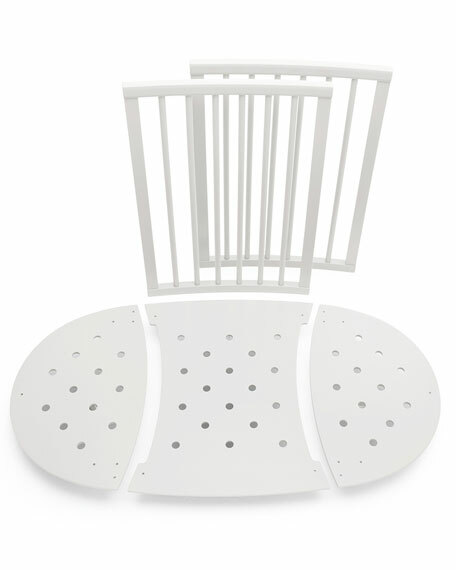 Extends bed to 127cm/50 in. Made in Romania of cultivated European beechwood. Mattress and Sleepi Mini sold separately.